At the top of the show, we announce Almost Famous: In Depth, a new series of podcast episodes that will focus getting to know on high profile Bachelor cast members better. 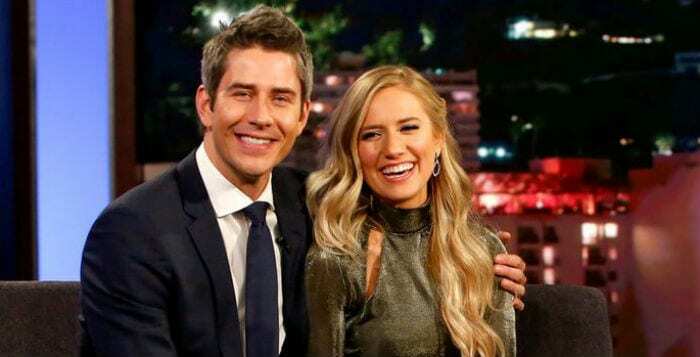 Arie and Lauren are the first guests in the series. In episode 10 (season 8), they tease the extended interview with tidbits about baby names and pregnancy cravings! Sadie Murray, from Prince Lorenzo’s season of The Bachelor, joins us for the entire episode. She lets us in on the procedure she recently had to freeze her eggs. Sadie, the first known Bachelor virgin reveals if the, uh, cherry is still intact. Also, Sadie reveals which Bachelor Nation guy she’s kissed post-show and explains how she was involved in the first Bachelor switcheroo! Plus! Vanessa Grimaldi calls into the podcast to address what exactly is going on between her and Peter Kraus! We breakdown Colton’s season’s first promo, including the buzzed about fence jump!